Sensei Bill Winfield was responsible for developing Shotokan Karate in Bristol. Bristol Shotokan Karate Club was founded in Bristol in the late 1960's by Tony Para, with Sensei Bill Winfield taking over in the early 1970's. Sensei Bill Winfield was a gifted and inspirational teacher. Like all great teachers Sensei Bill Winfield demanded high standards and led by example, instilling in his students the importance of courtesy and self-discipline, that are the hall marks of a karate master. 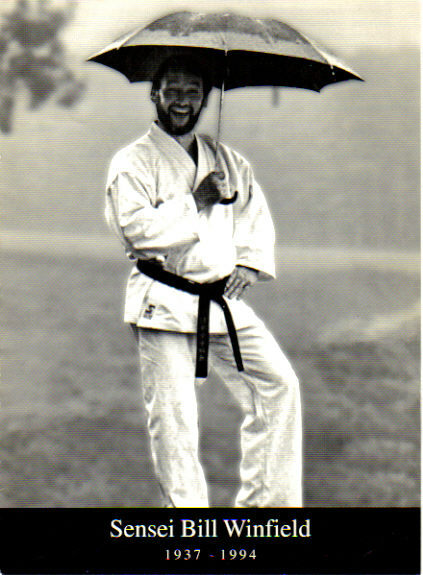 Sensei Bill Winfield passed away in 1994 - his contribution to karate is remembered through the Annual Bill Winfield Memorial Day Children's Karate Competition. The first Bill Winfield Memorial Day was held on the 12th December 1995.